Another game update (1.09) is now available for MLB The Show 18. 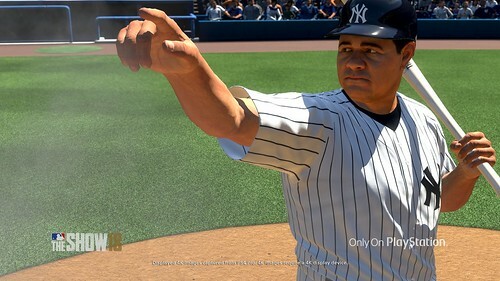 This update focuses on the frequency of hard choppers, dribbles, and pop-ups in online and local two-player games; logic adjustments for fielding in the infield, and adjustment to correct fair/foul ball detection on hits near foul poles in several stadiums, among other improvements. Game update 1.08 is now available for MLB The Show 18. This update focuses on gameplay improvements and big fixes. 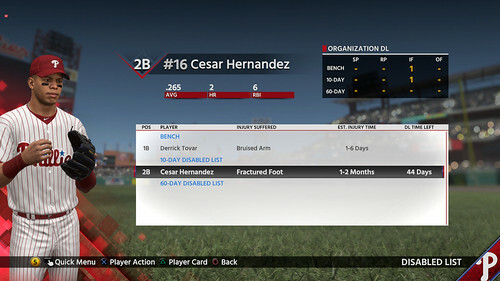 Among the improvements include Plate Coverage Indicator adjustments, increased pitch speeds within Diamond Dynasty, as well as correcting several fielding bugs/issues. Thursday's MLB The Show 18 developer livestream focused on the live content coming to the game, namely within Diamond Dynasty. Show content centered on showcasing the flashbacks and legends available for the 30 MLB Teams as co-host Stephen Hass showed rewards for half of the league. Also discussed towards the end of the show were a new event ('Southpaws'), changes coming to the Ticket Counter, and the recent roster update. Game update 1.07 is now available for MLB The Show 18. Patch notes listed on-console contain many of the same details as listed for the 1.06, so exact details of the update are currently unknown. Game update 1.06 is now available for MLB The Show 18. This update comes just one week after the release of game update 1.05. This update corrects an issue where the shortstop would not shift when an Extreme Shift had been called, improves head tracking on pickoff attempts, and addresses audio queues, among other improvements. Game update 1.05 is now available for MLB The Show 18. 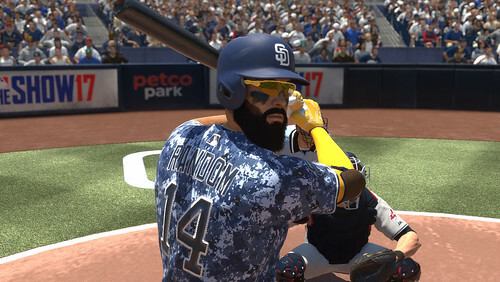 This game update addresses gameplay issues, RTTS training attribute distribution, online fixes, and more. Today's MLB The Show 18 developer livestream focused on improvements to Franchise Mode. As disclosed in the developer blog, Franchise Mode will focus on streamlining the mode and making it easier and quicker for users to advance through seasons. 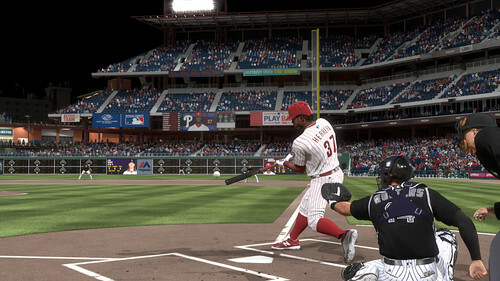 A blog from MLB The Show designer Matt Schaeffer breaks down the improvements coming to MLB The Show 18. 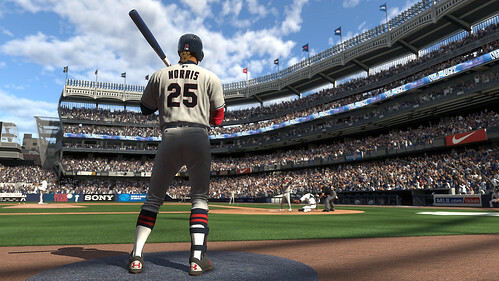 The year the mode focuses on streamlining the focus Franchise Mode in letting users decide which tasks they wish to handle. Franchise Mode has been divided into 19 unique phases to keep the user on task and clear on what they should do next. Users can play Franchise games in numerous ways, including Play Full Game, Critical Situations, Player Lock, Quick Manage, Manage Full game, and Retro Mode. Some of these options allow games to be completed in as little as five to ten minutes, allowing users to progress relatively fast through the season. 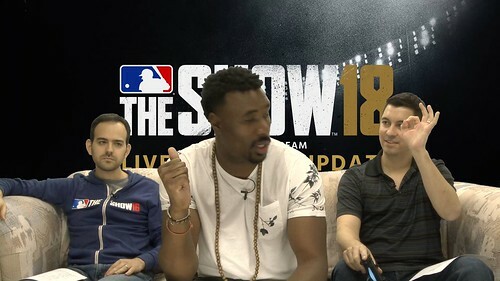 Today's MLB The Show 18 developer livestream focused on improvements coming to Road to the Show. The mode will now feature player archetypes when creating your player that include rating limits (or caps) on specific attributes to help make players more realistic instead of being God-like across the board. 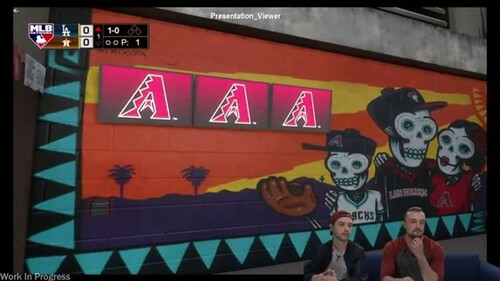 This week's MLB The Show 18 dev stream originated from Players Lounge in Scottsdale, Arizona. This livestream focused on new legends, new programs paradigm, and more within Diamond Dynasty. 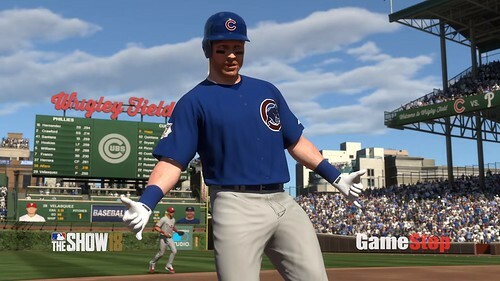 Week number three of MLB Mondays Presented by GameStop focuses on the improvements coming to Diamond Dynasty in a video narrated by Lance Leahy and crew. This year Diamond Dynasty will feature dozens of new programs including a flexible program system allows users to choose which missions they want to play. Playing through challenges will help users ultimately reach the Immortal Legends, the best of the best to ever play the sport. MLB The Show 18 will feature 30 new legends. The attribute system has also been expanded beyond the previous 99 cap to help make legends more feared and respected on the diamond. For example, Nolan Ryan's card was shown with a K/9 rating of 125, Stamina of 116, and Clutch of 110. New Souvenirs can be collected and then dropped into The Exchange for rewards and players. The create-a-player system has been revamped by tying progression to position-specific programs. 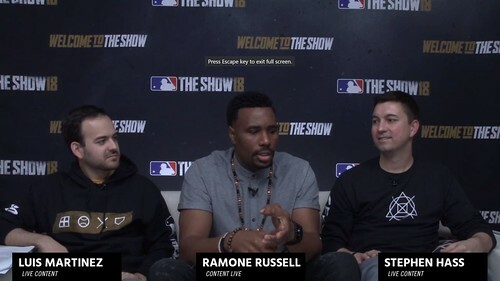 Today's MLB The Show 18 developer livestream focused on commentary and presentation improvements. The stream detailed new color commentator Mark DeRosa of MLB Network, dynamic storylines, improved crowd and weather, and announced a new legend coming to the game: Bob Gibson. 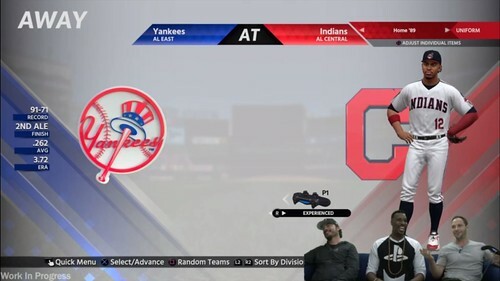 The latest MLB The Show 18 MLB Mondays powered by GameStop video highlights some of the improvements coming to presentation and commentary in a video narrated by Kirby St. John. 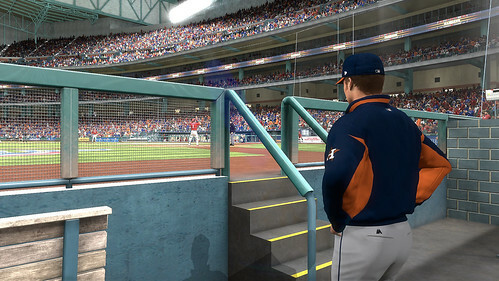 Other noted improvements include a revamped replay system including full-speed replays for the first time in the history of the franchise, improved in-game stadium atmosphere and overhauled attendance logic. This Thursday's MLB The Show 18 developer Twitch livestream focused on the Batting Stance Creator and 'The Little Things.' Among the new improvements shown off in the stream include numerous new alternate uniforms and custom practice mode. 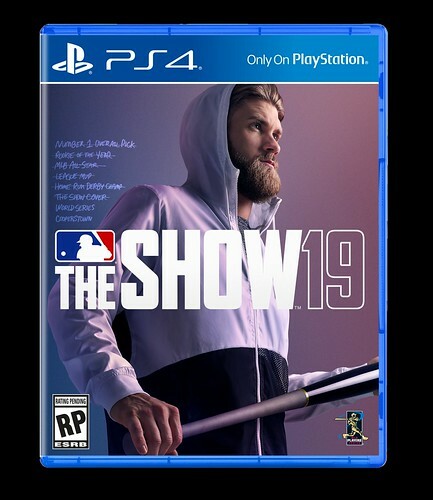 The first MLB Mondays Powered by GameStop video of the year for MLB The Show 18 shows off several new additions coming to the game including Batting Stance Creator, Rain Delay & Fog, Team & Player Specific Celebrations, and improved pitching animations. 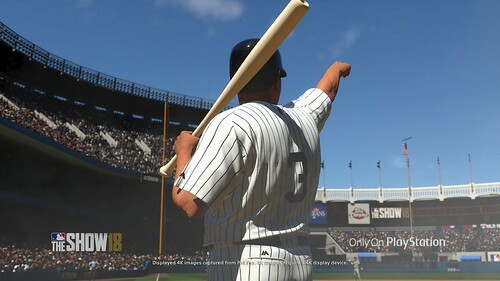 Users will be able to edit batting stances for players should they change their stance during the course of the season. Among the editable aspects: Batting Stance, Hand Offset (X, Y, Z), Hand Rotation, Hand Wiggle Rotation, Back Elbow Offset, and Forward Foot Offset (Z, X) aka Front Foot Placement. Players will not react accordingly to the impact of their home run, meaning a game-winning homer will lead to a bigger celebration than a home run early in the game. 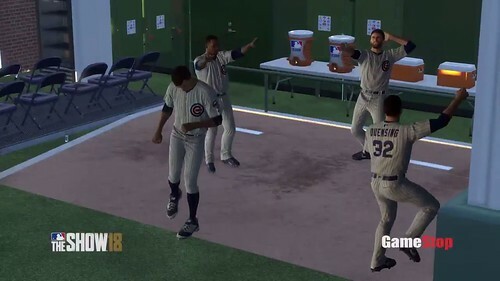 Team and individual specific celebrations and traditions such as the Cubs' dancing pitchers, Aaron Judge's celebration, and the Judge's Chambers in New York will also be added to the game. Pitching animations have also been improved to show a more fluid throwing animation with more realistic arm slots and releases. Game atmosphere will also be more diverse with the addition of fog, improved rain, and rain delays. Also, NCAA Football fans might recognize the name of the developer narrating the video, Steve Merka, as he was a designer for the former EA Tiburon title and now works at Sony San Diego on MLB The Show. The first MLB The Show 18 developer stream is in the books and focused on Gameplay and AI. 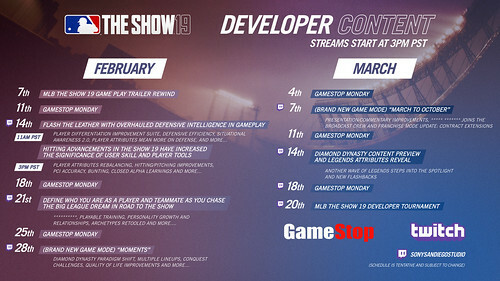 During the course of the 81-minute Twitch stream, MLB The Show designers showcased and explained some of the Gameplay and AI improvements coming to the game, including an All New Tagging Engine, improved Catcher Efficiency and Pitcher Fielding Efficiency, Hitting Engine Upgrades, while also providing a quick breakdown of the MLB The Show 18 trailer that was released on Monday. At the conclusion of the livestream, Vladimir Guerrero was revealed as one of the new legends coming to the game. 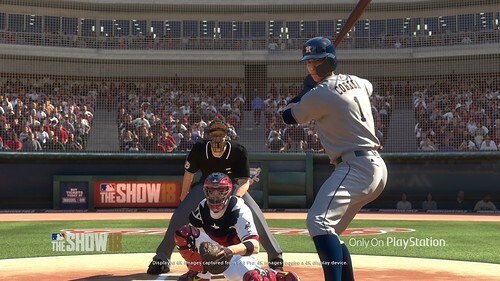 The initial wave of gameplay information and details regarding MLB The Show 18 have been released. Sony San Diego started the release of information with the First Look Gameplay trailer and shortly thereafter the PlayStation Blog released a blog from Community Manager and Developer Ramone Russell with more details. Also, IGN has posted a 22-minute Let's Play with Russell covering gameplay improvements. Game update 1.08 is now available for MLB The Show 17. Small in size and content, this game update appears focused on addressing online issues.